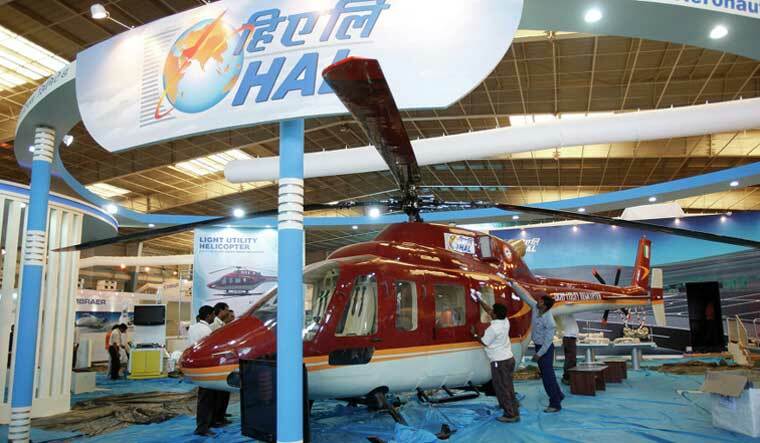 Bengaluru (Karnataka) [India], Apr 1 (ANI): Government-owned Hindustan Aeronautics Limited (HAL) said on Monday its turnover totalled Rs 19,400 crore during the financial year ended on March 31 against Rs 18,284 crore in the previous year. Bengaluru (Karnataka) [India], Feb 5 (ANI): Indian Army’s Hindustan Aeronautics Limited (HAL)-built Rudra chopper made a precautionary landing near Bengaluru on Tuesday. Bengaluru (Karnataka) [India] Feb 1 (ANI): Two pilots were killed after their Mirage fighter aircraft crashed during takeoff at the Hindustan Aeronautics Limited (HAL) airport in Bengaluru on Friday. Bengaluru (Karnataka) [India], Jan 17 (ANI): India's indigenously-designed-and-developed Light Combat Helicopter (LCH) has successfully carried out air-to-air missile firing, marking a first for the country and demonstrating its readiness for operational induction. Udaipur (Rajasthan) [India], Dec 22 (ANI): Hindustan Aeronautics Limited (HAL) chairman R Madhavan has said that it was capable of producing Rafale fighter jets when the initial talks were held but to get quick delivery the central government bought 36 aircraft separately. Bengaluru, (Karnataka) Nov 15 (ANI): Hindustan Aeronautics Limited's Management Academy (HMA) launched an AICTE approved 15 months, full-time Post Graduation Diploma in Aviation Management (PGDAM) at its sprawling new campus in Karnataka's Bengaluru on Thursday. New Delhi [India], Oct 24 (ANI): The Central Bureau of Investigation (CBI) on Wednesday registered a case against seven officials of Hindustan Aeronautics Ltd (HAL) on account of corruption charges. New Delhi [India], Oct 10 (ANI): Congress president Rahul Gandhi will fly to Bengaluru on October 13 to hold a meeting with Hindustan Aeronautics Limited (HAL) Employee Association.